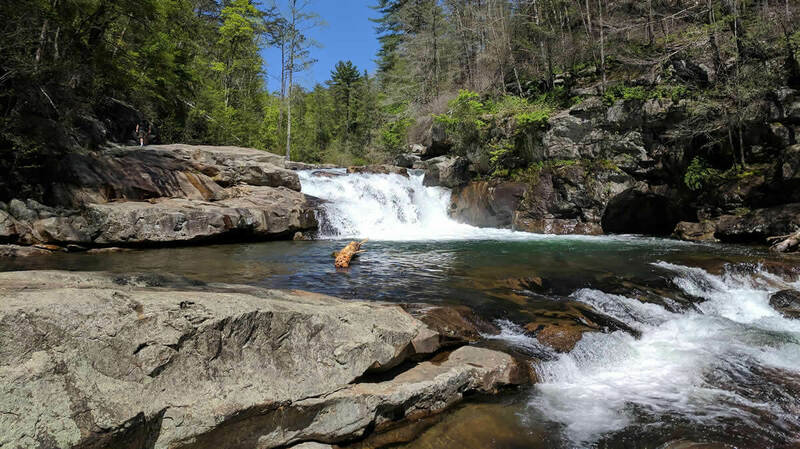 Smoking trout can be a delicious way to preserve and consume your catch, but fish smoked without proper salting and cooking can cause foodborne illness—it can even be lethal. Many dangerous bacteria can and will grow under the conditions normally found in the preparation and storage of smoked fish. Clostridium botulinum is the most notorious of these bacteria, but there are other harmful ones as well. • You must heat the fish until the internal temperature reaches 150°F (preferably 160°F) and is maintained at this temperature for at least 30 minutes. • You must salt or brine fish long enough to ensure that adequate salt is present throughout the smoked fish (at least 3.5% water phase salt; see related section on page 4). • If storing, you must keep smoked fish under refrigeration at 38°F or less. You can smoke any fish without worrying about food-borne illness if you observe the basic principles explained below for preparation, salting, smoking, cooking, and storage. Your smoked trout will only be as good as the product you start with, so the most important step is to use good quality fish. Smoking will not improve fish quality; in fact, it may cover up certain conditions that could create food safety problems later. Thaw frozen fish in cool ambient air or clean fresh water. Clean all fish thoroughly to remove blood, slime, and harmful bacteria. Keep fish as cool as possible at all times, but do not refreeze. When you cut fish for smoking, remember that pieces of uniform size and thickness will absorb salt in a similar way, reducing the chance that some pieces of fish will be either under- or over-salted. Do not let fish sit longer than 2 hours at room temperature after cleaning and before smoking. Salt preserves smoked fish by reducing the moisture content. However, without chemical analysis, it is hard to be certain that a fish has absorbed enough salt. That is why proper cooking and refrigerated storage are essential for safety. The following rules of thumb are useful to approximate the proper salt level for smoked fish. Salt the fish before smoking in a strong salt solution (brine). Salting fish in a brine that is 1 part table salt (non-iodized and with no anticaking agent) to 7 parts water by volume for 1 hour will work in most cases. 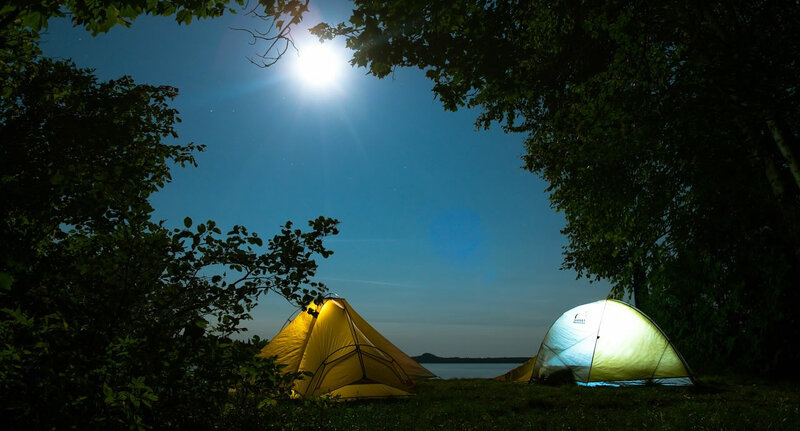 For instance, 1 cup of salt with 7 cups of water will salt 2–3 pounds of fish. 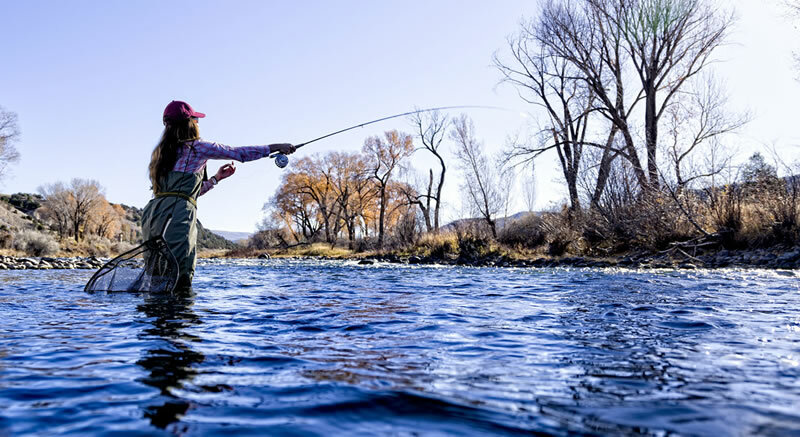 A good rule of thumb when trying to decide on how long to soak your trout in brine is to start with 15 minutes per half-inch of fish thickness. Fish pieces should not overlap when they are being brined or salt uptake will not be uniform. Dry salting techniques are acceptable, and the same general rules apply. However, using a brining solution typically yields a more uniform salt concentration. Many recipes call for brines with a lower salt concentration than the 1 part table salt to 7 parts water noted above—but for a much longer period of time (18–24 hours). These extended periods offer more opportunity for bacterial growth and possible spoilage later, and probably increase the mess you have to clean up later. For more information on making salt brines you might want to check out the Oregon Sea Grant publication ORESU-H-99-002. If proper drying conditions are not available (cool, dry air), place the fish in a smoker with low heat (80–90°F), no smoke, with the doors to the smoker open so the pellicle can form. Use a low, clean flame if you have a wood heat source. A pellicle will both give the smoke a chance to deposit evenly during smoking as well as help prevent surface spoilage during smoking. A pellicle is a shiny, slightly tacky skin or coating of proteins that will form on the surface of your fish. The pellicle allows smoke to better adhere to the surface of the fish during the smoking process. 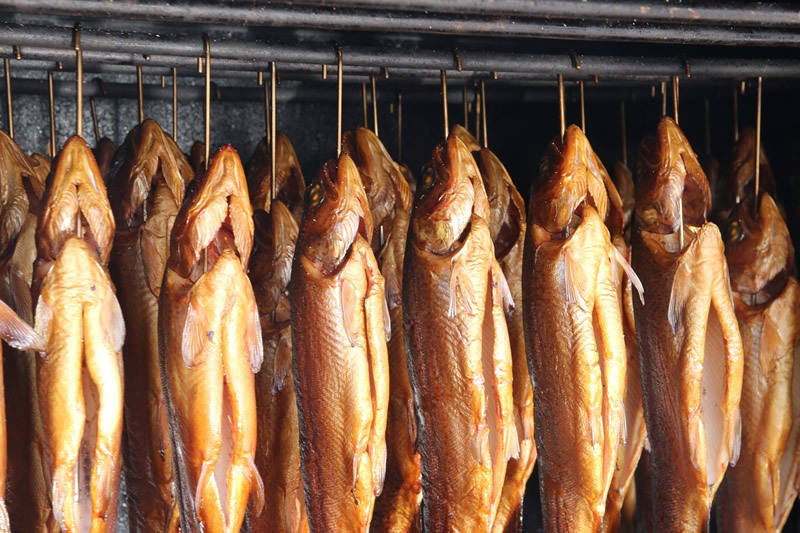 Hot-smoked fish require two sequential processes: smoking followed by cooking. The length of smoking time depends on the flavor and moisture level you want. Smoking first will result in a better-tasting product due to less of a baked fish flavor and curd formation caused by juices boiling out of the fish. First smoke your fish for up to 2 hours at around 90°F in a smoker, and then increase the heat until the fish reaches an internal temperature of at least 150°F (preferably 160°F) and cook for at least 30 minutes. It is very important to measure product temperature because of variations in how warm air circulates inside smokers. A long-stemmed thermometer inserted into the thickest piece of fish through a hole in the smoker wall will allow temperature monitoring without opening the door. Ensuring that the thickest section of meat is at a high enough temperature should be sufficient for the rest of the fish. If you are unable to get your smoker to maintain a temperature of 200–225°F then you’ll need to cook the fish in your kitchen oven within 2 hours after the smoking process. Waiting longer presents a danger of spoilage from bacterial growth. As in a smoker, the core temperature in the thickest piece of the fish must be maintained at a minimum 150°F for 30 minutes. Freeze or refrigerate (preferably at 38°F or less) your smoked trout if you vacuum pack it and do not plan to eat it immediately. This is essential if you have any doubt about the salt content or time and temperature process achieved during smoking. If you do not vacuum pack your smoked fish it is important to keep it refrigerated to maintain both safety and the best product quality. 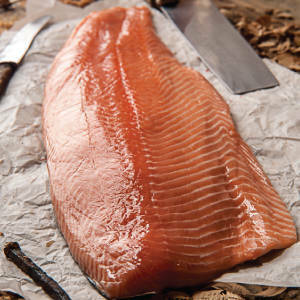 You can retard mold growth on your smoked trout if you package it in a porous material such as cloth or paper toweling. This prevents “sweating,” a process in which moisture moves from the fish to the inside of the bag, causing a wet spot where mold can grow. This can be a problem if you place warm, plastic-wrapped fish in a refrigerator before it has had time to cool. If you are planning to store your smoked trout for longer than 2 weeks make sure it is tightly wrapped and frozen. Properly frozen, fish can hold for up to 1 year and little quality is lost by freezing smoked fish because of its low moisture content.